Rounding out their month-long trip around North America opening for Great Good Fine Ok, indie-pop band Flor rocked out their second to last show of tour at The Foundry at The Fillmore in Philadelphia on Tuesday, January 31st. Fresh off the release of their newest single, “Hold On,” and the announcement of a support slot on Hayley Kiyoko’s spring tour, the Portland/LA-based group seem to be gearing up to release a new EP or album. As people slowly trickled into the venue, Flor kicked off their set with “Guarded,” and fans in the front row began singing along almost immediately. 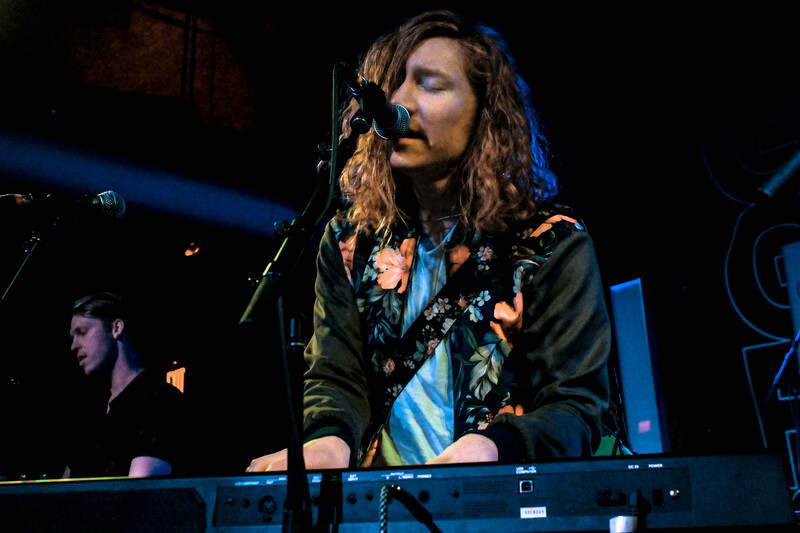 The energy from the band was contagious, as lead singer Zach Grace masterfully switched between his keyboard and a baby blue electric guitar, which was strapped around his chest with a guitar strap that perfectly matched his floral bomber jacket. 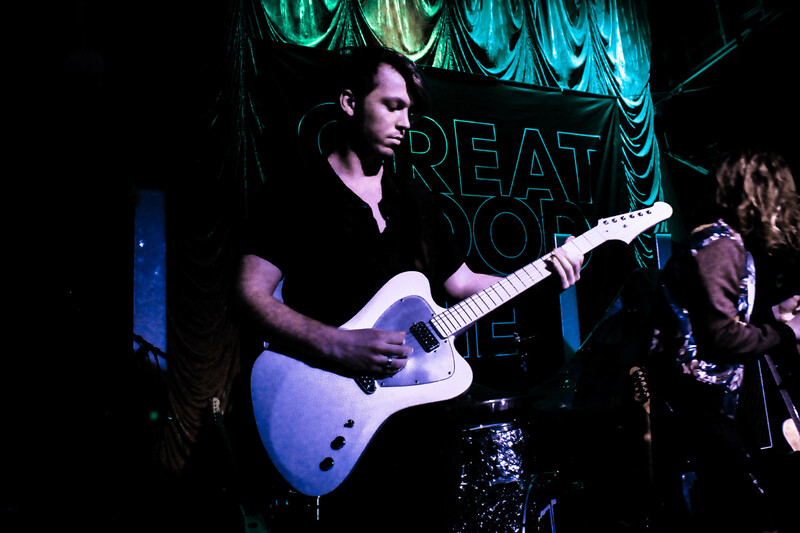 Guitarist McKinley Kitts, bassist Dylan William, and drummer Kyle Hill all showed their passion for their music during the set, mouthing along to the lyrics and connecting with fans in the audience while holding down the tracks. In between songs, Grace continuously mentioned how thankful they were for the ability to play to the audience, and even dedicated “Let Me In” to a fan in the audience who had specifically requested it. The band got the strongest reaction from the audience during “Back Again” and “Heart,” the group’s most popular tracks to date. By the end of the set, everyone was dancing to Flor’s infectious tunes, and they had clearly made fans out of all in attendance. 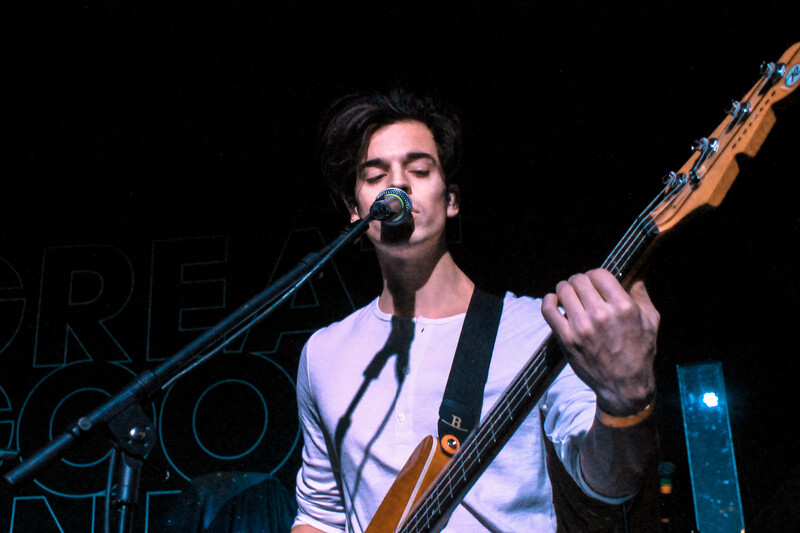 When I first saw Flor in 2015, they were opening for Halsey and Young Rising Sons at The Troubadour in Los Angeles, playing to a sold out crowd. In the two years that have passed since that show, it has been incredible to witness the clear development in not only the band’s music, but also their performance style. With the upcoming release of new songs, it is impossible to predict how much they will continue to grow, so I am incredibly excited to watch their next steps. Catch Flor at their intimate set at The Knitting Factory in Brooklyn on Saturday, or on tour with Hayley Kiyoko all through March. For updates on new music and more tour dates, check out their website, Facebook, and Twitter.